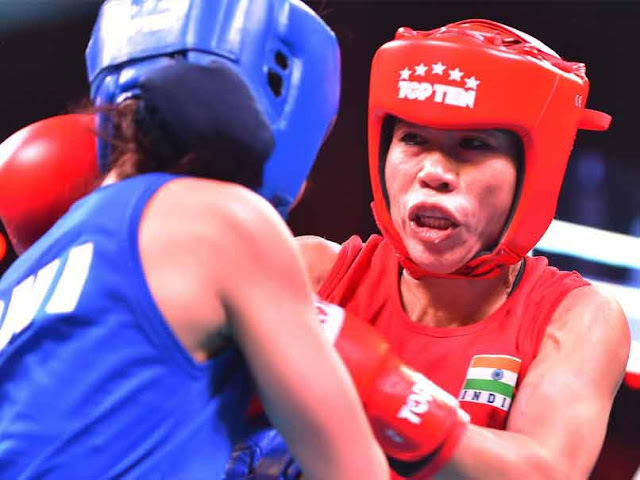 MC Mary Kom claimed a gold in the women's competition but Indian men were denied a complete sweep by traditional powerhouses Cuba and Uzbekistan on an exciting final day of the India Open boxing tournament, on Thursday. Mary Kom (48kg) got the better of Filipino Josie Gabuco 4-1 in a battle of attrition to come up trumps. In fact, women stole the thunder from men by picking up five gold medals after men were thwarted by Cuba and Uzbekistan. Pwilao Basumatary (64kg) was the first among them to fetch a gold. The former world and Asian bronze medallist claimed a 3-2 win over Thailand's Sudaporn Seesondee. The Assam boxer is a regular in the national camp and had claimed a gold medal at the 2015 Nation's Cup in Serbia. She hails from a small village in Kokrajhar where several families were displaced during the 2012 riots. Her family was among those displaced by the violence but has since moved on. Another Assam boxer, Lovlina Borgohain claimed the welterweight (69kg) gold among women, getting the better of compatriot Pooja. In the evening, Commonwealth Games bronze-medallist Pinki Jangra (51kg) registered a unanimous victory over Mongolia's Jargalan Ochirbat. Manisha (54kg) added to the gold rush for women by claiming the top honours in the all-Indian final against M Meenakumari. But former world champion L Sarita Devi (60kg) settled for a silver medal after losing to Finland's Olympic bronze- medallist Mira Potkenon. Sarita gave her all in the bout but lost on a 2-3 decision after Potkenon salvaged a rather rusty performance with a final round flourish. In the men's draw, Sanjeet (91kg) picked up India's first gold of the day when he upstaged Uzbekistan's Sanjar Tursunov. The Indian matched Tursunov punch for punch in an engrossing contest before getting a split 3-2 verdict in his favour. National champion Manish Kaushik (60kg), who stunned world and Asian medallist Shiva Thapa yesterday, didn't have to step inside the ring to collect his gold. Manish was given a walkover by his Mongolian rival Battumur Misheelt, who pulled out owing to a cut sustained on his forehead during his semifinal bout. Asian Games bronze medallist Satish Kumar (+91kg), however, settled for a silver, outwitted by Uzbekistan's Bakhodir Jalolov in a split 4-1 decision. Dinesh Dagar took the welterweight (69kg) silver after going down to Uzbekistan's Bobo-Usmon Baturov. In perhaps the most entertaining bout of the day, the Uzbek turned on the style against the gritty Indian. With a smile on his face throughout and a mostly non- existent guard, Baturov was every bit a showman as he craftily got the better of Dinesh in a unanimous verdict. To his credit, Dinesh connected a few lusty jabs of his own but Baturov was never really troubled. Later, Devanshu Jaiswal (81kg) was up against Cuba's David Gutierrez. Although the crowd favourite gave a good account of himself in defensive tactics, the Cuban connected enough with his jabs to score a split 4-1 victory. Former world silver medallist Saweety Boora (75kg) also had to be content with a second place finish against Cameroon's Essaine Clotilde. Each gold winner in the USD 100,000 event went home richer by USD 2500. The silver and bronze medal winners were presented USD 1500 and USD 500 respectively. Lauryn Eagle (born 11 December 1987) is an Australian professional boxer and water skiing champion. She was on The Celebrity Apprentice Australia and is a former Miss Teen International 2004. Australian professional boxer and swimsuit model Lauryn Eagle has allegedly been caught driving under the influence of drugs in south Sydney. Ms Eagle allegedly returned a positive result for methamphetamine at a random drug test in Peakhurst, the Daily Telegraph reported. She was stopped in a black Audi Q5 about 10am on Wednesday and was arrested. Professional boxer Lauryn Eagle has allegedly tested positive in a random drug test after she was pulled over in Sydney's south. 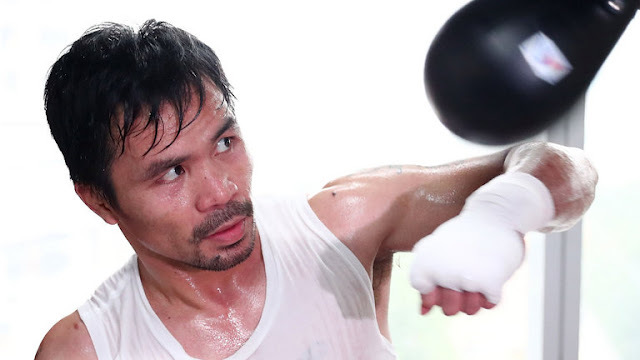 The 29-year-old, who won the Australian super-featherweight title last year, was at the wheel of a black Audi Q5 when she was stopped for a random breath test on Henry Lawson Drive in Peakhurst at 10am on Wednesday, a NSW police spokeswoman said. The 29-year-old appeared visibly distressed during her segment on Channel Nine’s breakfast program, explaining that she’d hadn’t slept during her flight from Sydney to Los Angeles, and had been contacted about the story right before takeoff. The 29-year-old was taken to Kogarah Police Station for further testing and was prohibited from driving for 24 hours, police told AAP. Her lawyer Adam Houda denied suggestions his client had taken illicit drugs. He blamed any ­potential positive reading on prescription drugs. After Eagle tested negative for alcohol she was given a random drug test, which allegedly returned a positive reading. At this point, she was arrested and taken to Kogarah police station for a second test. "This is all standard protocol," the police spokeswoman said. "Now that test will be sent for analysis." However, Eagle said the alleged positive reading is due to a prescription drug she takes for ADHD. "It's narcolepsy [medication], modafinil ... for the ADHD which my doctors prescribed me," Eagle told Channel Nine. “I have been diagnosed for a couple of years now with narcolepsy, depression, and also ADHD,” she said, claiming that the two medications she’d been prescribed had been the cause of the positive drug result. The former reality TV star added that the situation was “heartbreaking”. After Jeffreys clarified that she denied she’d been on any illict drugs, Eagle launched into a rant about the “severe” media coverage, even suggesting that a reporter had unjustly obtained information about the arrest. Eagle's lawyer, Adam Houda, told Fairfax Media multiple doctors had confirmed that the drug, which is usually prescribed for narcolepsy, could cause a positive reading in a drug test. "There's an innocent explanation for any positive reading that might come up, and it's been confirmed by two doctors that the prescription drug [Eagle is taking] would bring up a positive," Mr Houda said. "She's very upset by this smear campaign. I've known Lauryn a long time; she's a high achiever and a great role model for young women." Eagle, who is also a former water-skiing world champion, was issued with a prohibition for driving for 24 hours before being released. She has not been charged while police wait for the results of the second test, which the spokeswoman said could "take some weeks". The penalty for driving under the influence of illegal or prescription drugs in NSW includes fines of up to $2200, a 12-month licence disqualification and a prison term of up to nine months. Penalties increase after the first offence. Eagle appeared in court in 2010 for driving after her licence had been suspended and giving police a false name, but had her conviction quashed for a 12-month good behaviour bond. 'She hasn't taken any illicit drugs,' he told The Daily Telegraph. The maximum penalty for a first offence of driving under the influence is a $3300 fine and three months in jail. In 2016 Eagle won the Australian super-featherweight boxing title. She was arrested in 2013 for refusing to leave Northies Cronulla Hotel and was given an infringement notice. Eagle was also convicted for property damage in 2014 and ordered to stay away from her mother and sister after an incident at her mother's Peakhurst home.